You’ve been tired of invariable MacBook keyboard? Then using the crystal styled MacBook keyboard stickers dress up your MacBook. The MacBook keyboard stickers are made of less than 0.3mm thin vinyl decal with Avery/3M technology, and each piece features high-quality printing and precision-cut in order to made each MacBook key look like a crystal styled icon. Apart from that, the keyboard decals are 100 waterproof and oil-proof, and can be applied with ease and removed without any residue. Besides, the set of MacBook keyboard decals is compatible with macbook, macbook air, macbook pro, and imac keyboard(short version). 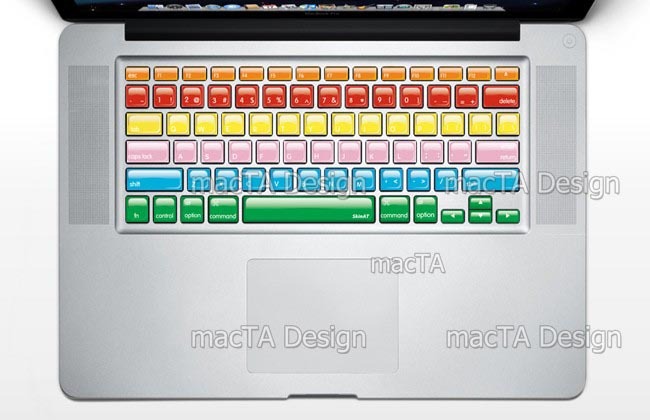 The set of crystal styled MacBook keyboard decals is priced at $14.99 USD. If you’re interested, jump to Etsy for more details. Additionally, if you need more options, you might like to check the Space Invaders themed MacBook keyboard stickers.